We all need some Beauty in our lives right now. In a world in which it appears that what divides us is valued more than what unites us, and leaders have risen to power based on playing on Fears, it really feels more important than ever that our artists express those intangible but essential positive qualities, focusing on Hope and… dare I say it… Love! 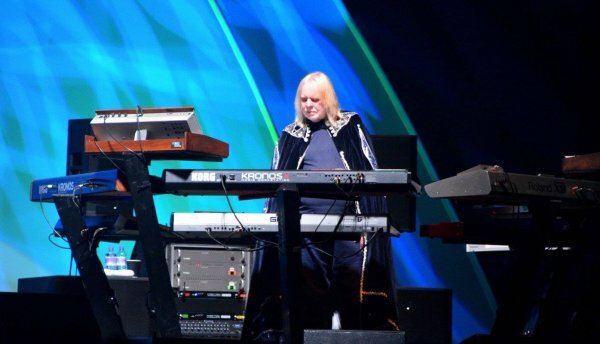 Anderson, Rabin and Wakeman opened up their U.K. tour in Cardiff with a set that displayed their musical dexterity and skills, but more importantly emphasised the sheer joy and positive feeling that their ‘Yes Music’ inspires. 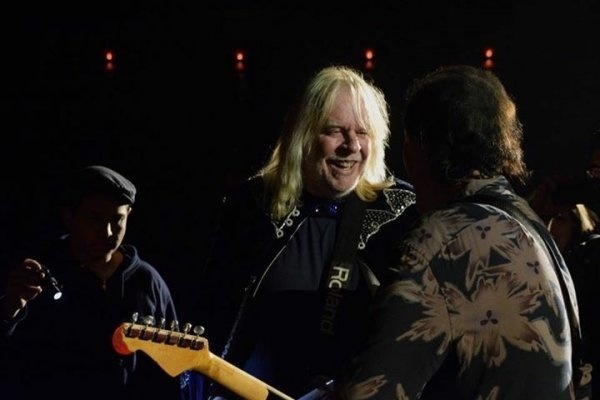 In the weeks leading up to this tour the promotion material interestingly changed from merely their names to ‘Yes featuring Anderson, Rabin and Wakeman’. It is not clear what the other band that uses the ‘Yes’ name thinks of that description, but it is clear from the pedigree of these band members, and their committed and skilled performance, that A.R.W. has every right to give themselves that legendary title. 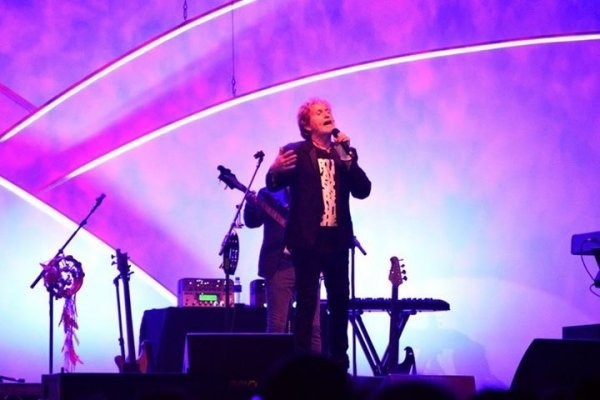 Jon Anderson himself stated emphatically to the crowd that they were ‘Yes Music, for that is truly who we are’, to the delight of the packed audience. 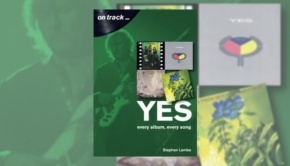 It will be interesting to see what original music this band can produce, which is promising considering the quality of the recent Anderson/Stolt album, Invention of Knowledge – clearly the best manifestation of Yes Music for quite some years. 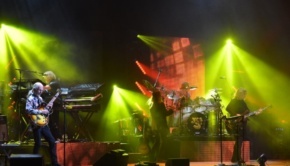 This show had an interesting mixture of songs, with plenty from what could be described as the ‘Rabin era’ of the ’80s and a healthy slab of stone-cold masterpieces from the ‘Classic era’ of Wakeman and Anderson in the ’70s. These were not carbon copies of those songs but at times engaging variations on the originals, such as Perpetual Change leaning towards a lighter feel rather than the more rocking original version. A.R.W. are not just a three piece, with Lou Molino III in crunching form on drums, and Lee Pomeroy (also of It Bites) on bass guitar, both contributing finely judged and complementary performances to drive this fine band along. Molino introduced Lift Me Up with a drum solo, which helped inject some verve into this song from Union. 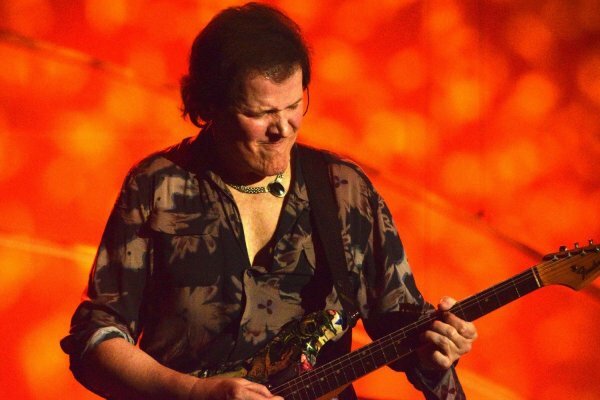 As it was the first night on tour it was probably understandable that the early songs were not totally perfect, with Trevor Rabin having to solve some early technical gremlins, but they were soon firing on all cylinders. They were also having to cope with the acoustics of the cavernous Motorpoint Arena which is not the best venue for sonic quality it has to be said. Rabin shone on the songs from the 90125/Big Generator era which are suited to his more spectacular shredding style. However, he is also very capable at interpreting the Steve Howe guitar parts on the ‘classic era’ songs, somehow managing to re-imagine the distinctive slide guitar parts that characterise the achingly beautiful And You And I. If you attended expecting to hear Howe’s guitar parts being copied note for note you might well be disappointed, but if you came with the view that it’s sometimes refreshing to hear old classics re-interpreted in slightly different and often fascinating ways then this was the evening for you. 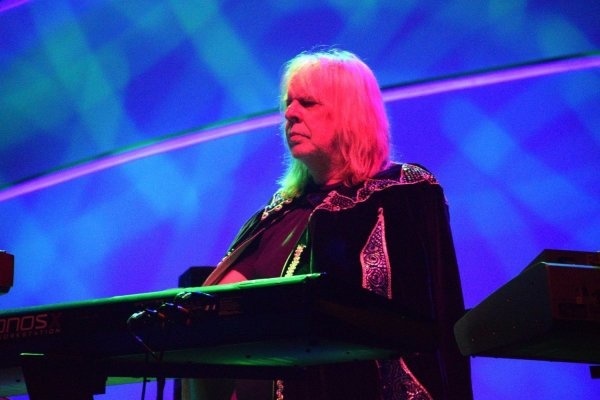 Rick Wakeman was imperious in his trademark cape, spicing up songs on which he did not appear originally with entertaining and entirely complementary keyboard passages, such as Rhythm of Love. 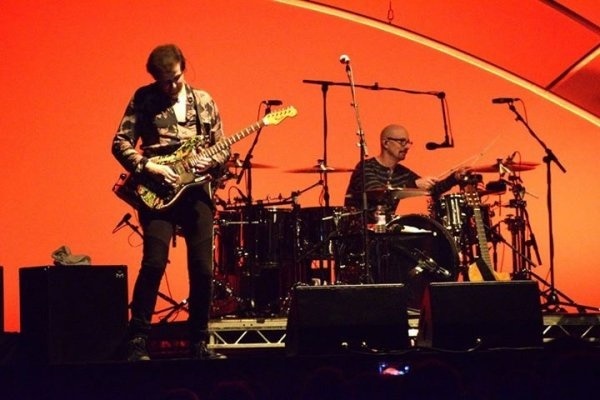 Rabin’s voice has changed with the years so the impressive backing vocals from Lee Pomeroy and Lou Molino were crucial in helping to carry those more rock oriented songs. The whole band were on fine vocal form for the choral arrangements which gloriously permeate the whole of I’ve Seen All Good People. 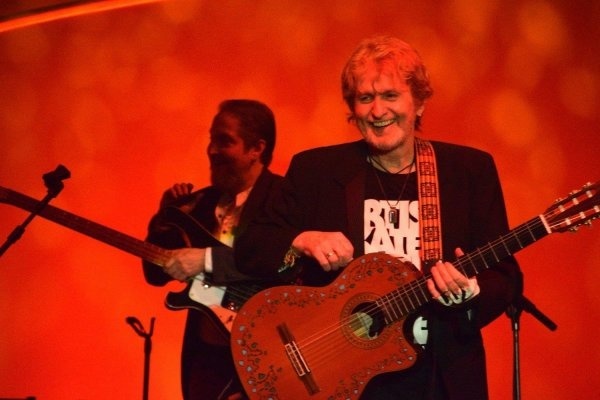 Jon Anderson touchingly announced Long Distance Runaround and The Fish with: “Not a day goes by when I don’t think of Chris Squire”, and the band honoured his memory with fascinating versions of those pieces. Rabin and Wakeman illuminate the songs with dashes of musical colour before Lee Pomeroy steps forward for the main bass solo, a sensitive memorial to Squire but with Pomeroy’s own imagination and skill being impressively displayed. 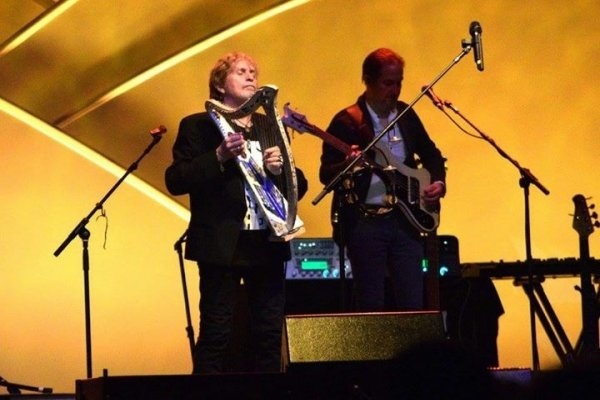 The evening’s ‘rock’ highlights culminate in a rollicking version of their worldwide hit Owner of a Lonely Heart with Rabin and Wakeman, strapping on a ‘keytar’, walking around the audience improvising their solos to the delight of the crowd able to see them in such close up action. It’s a nice touch and helps emphasise the connection between band and audience, most of them clearly fans of quite some years. The age old classic Roundabout somewhat inevitably rounds off the evening to the delight of the audience, although sometimes I wish Yes bands would choose another encore to close their shows after all these years… but it’s a real crowd pleaser! 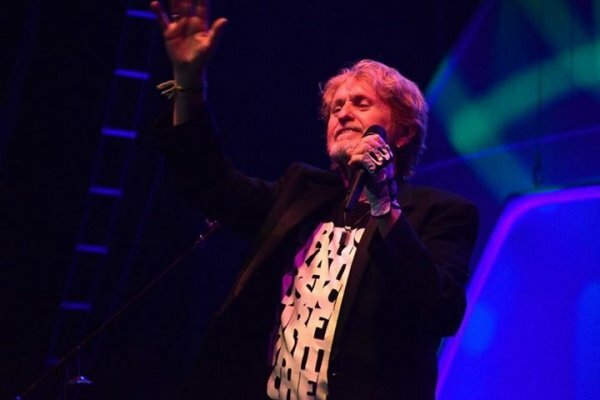 Before the excitement of those rocking songs, the crowd were treated to a truly magical epic which showcased the absolutely remarkable vocal talents of Jon Anderson. 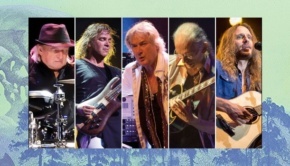 For a singer of around 70 years age, whom lest we forget was jettisoned from Yes due to health issues, he looks and sounds in tremendous shape – trim and energetic in body, and with a simply stunning voice which truly does not seem to have aged or deteriorated in any way – absolutely remarkable. I was fortunate to be near the stage for this performance so could see the sheer joy on his face throughout the whole show, whether acting as ‘conductor’ for a muscular and dramatic version of Heart of the Sunrise or graciously and enjoyably acting as backing vocalist and acoustic guitarist for Rabin on Changes. 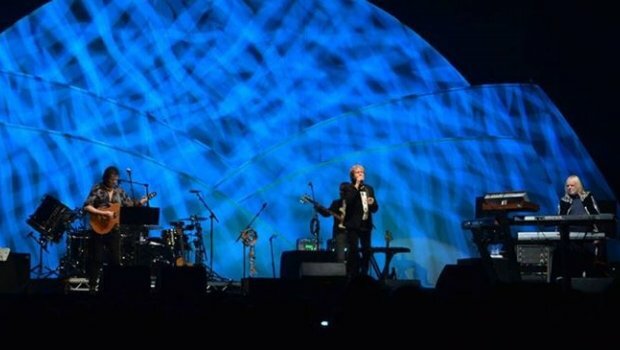 The ‘official’ version of Yes do a very fine show, but after seeing this performance it has to be acknowledged that this version has that still very special vocal talent and mystical stage presence of Jon Anderson, perhaps the true embodiment of the spirit of ‘Yes Music’. His joy through the show was shared by a band which was clearly enjoying the show and playing together. 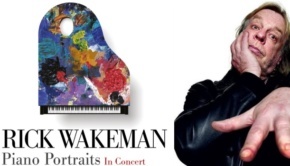 Wakeman could be seen, eyes closed, mouthing the words of some songs as he played his keys with passion and touch – this was not just another job for Wakeman, he was clearly feeling the music. … and the whole auditorium immediately came to their feet in a tremendous standing ovation… whilst some wiped away tears. That was a truly magical moment to touch the soul. A.R.W. performed it with Grace and Beauty… and we all need more Beauty in our lives, don’t we?